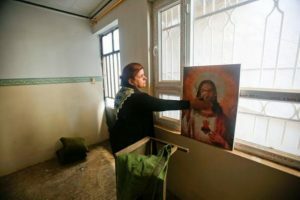 ERBIL, Iraq — Despite the potential threat from the nearby Islamic State (ISIS), several monks and students in northern Iraq have found refuge in an ancient monastery, certain they are in God’s hands, no matter what happens. In June 2014, the Islamic State launched an offensive against northern Iraq, overrunning the nation’s second-largest city of Mosul. In August, it further extended its reach in the regions surrounding the city. 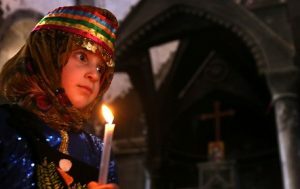 The militants have displaced hundreds of thousands of Christians, Yazidis and Shia Muslims from their homes while slaughtering or enslaving thousands of others. The monastery, known also as Mar Mattai, was established in 363 by the hermit St. Matthew, who had fled Rome during the persecutions of the emperor Julian the Apostate. The monastery is one of the oldest Christian monasteries in Iraq. It is currently under the authority of the Syrian Orthodox Church. Sahar Karaikos, a student at the monastery, said he is not afraid, despite the very real possibility of the monastery being invaded. 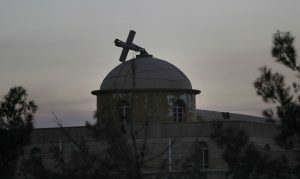 Located on the edge of the conflict, St. Matthew’s Monastery risks becoming the latest Christian landmark to be destroyed by the militant group’s campaign throughout Iraq. 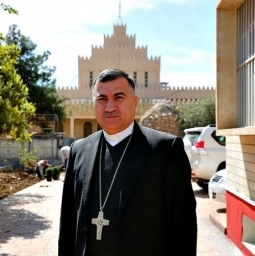 Archbishop Warda at the June 4 briefing responded to a relevant question: Is he prepared for martyrdom?